xSellco is the helpdesk built for e-commerce. We centralize customer support queries from your webstore, marketplaces like Amazon, eBay and your social media into one dashboard. Customer information, order details, previous purchases, delivery information and conversation history are automatically attached to every incoming message so you can send fast, personalized messages in a couple of clicks. The unique auto-translation feature also allows you to expand to international markets without the need to hire a multilingual team. Designed for e-commerce, xSellco helps you sell more with a better customer experience, whilst making the time to focus on growing your business. With a full view of your customer, a host of time-saving features and powerful reports to help you identify areas of improvement, xSellco makes selling on multiple channels as easy as selling on one. Streamlined our customer service team role by providing the right information with the tools to action it.It has taken all of our marketplace messages, from eBay to our website and combined them all into one easy to understand message inbox, it is ordered so your always replying to the most urgent messages first no matter which marketplace the message has come from, it also has a count down timer next to each message so you know how long each message has been waiting, particularly important when Amazon requires a reply in 24 hours. One of the main advantages is that most if not all messages sent from a customer will import into one message thread, so if a customer is trying to play customer services off different representatives it is great for reading back through what has or hasn't been said, both by the customer and your own customer services. There are a number of other features such as auto reply's and folder sorting an flagging that we haven't used, but they seem like very useful features for some business. One area that has helped greatly save time is the template feature that drags in customer information, allowing you to have a list of predetermined reply's but the emails are still personalised to the customer, with names, addresses, usernames etc all importable to a message. Xsellco are always developing the platform and adding new features, live chat is something we plan to explore further in the future, all in all a great bit of software. It has taken all of our marketplace messages, from eBay to our website and combined them all into one easy to understand message inbox, it is ordered so your always replying to the most urgent messages first no matter which marketplace the message has come from, it also has a count down timer next to each message so you know how long each message has been waiting, particularly important when Amazon requires a reply in 24 hours. One of the main advantages is that most if not all messages sent from a customer will import into one message thread, so if a customer is trying to play customer services off different representatives it is great for reading back through what has or hasn't been said, both by the customer and your own customer services. There are a number of other features such as auto reply's and folder sorting an flagging that we haven't used, but they seem like very useful features for some business. One area that has helped greatly save time is the template feature that drags in customer information, allowing you to have a list of predetermined reply's but the emails are still personalised to the customer, with names, addresses, usernames etc all importable to a message. Xsellco are always developing the platform and adding new features, live chat is something we plan to explore further in the future, all in all a great bit of software. From a set up point of view, having to attach each market place individually for each country you sell in can be a long process, given the Amazon integration requires a little more work than the eBay sites also, that is more to do with Amazon and eBay, rather than Xsellco though. Their is a lot too Xsellco also and option can be hidden in menus you'd not think to look in. I think an ability to have a test environment within Xsellco would be beneficial for automated reply testing and generally helping you test templates etc. The live chat does need fleshing out a bit, but as previously stated, they are updating all the time. Overall not many negatives. saves time and brings CS all under one roof.The biggest pro is the fact that you can see the order details in the sidebar when dealing with tickets, this is the biggest win over other helpdesk software we demoed. Xsellco offer all the details that you need. The usability/UX design is really nice, and templates are super for saving time. The organisation and filter options of the tickets, allowing the customer greater control. This could be greatly improved. The biggest improvement we would like to see is the ability to easiest group list the tickets by sales platform. We use to be able to do this in Zendesk and it was perfect. Secondly the way tickets are auto assigned 'Type' from Amazon is set, and does not allow the customer to alter. A lot of tickets are assigned 'System Message' when they should not be. There are quite a few other tweaks that would make it run smoother from a usability point of view. Clean and simple user interface. Visualisation of data is perfect for our user to take in. Everything integrates into the same dashboard. Filtering message by a channel is not possible or not obvious. When hovering over the heart icon or the bell, there isn't anything to explain what this is. Iconography is great but only if the user is informed as to what it is. A heart icon to one person could be understood as something completely different to another person. Tooltips never hurt anyone. I really appreciate your feedback! This is really interesting and something I'll definitely pass onto the team. The filtering function in the software is in fact quite granular, so this is definitely possible. Could you send an email to our support team at support@xsellco.com and ask them to put you in touch with me? I'll be happy to go through this with you. Allows us to efficiently manage customer messages from all our sales channels.- One of the tightest integrations with Amazon and eBay we have come across. - Out of office responses that actually work with Amazon. - User friendly. Very quick and easy to setup. - Clean interface that is relatively customisable. - Good support for different languages. - Good automation with templates and rules. - Folders allow for the addition of custom ticket labels. - One of the tightest integrations with Amazon and eBay we have come across. - Out of office responses that actually work with Amazon. - User friendly. Very quick and easy to setup. - Clean interface that is relatively customisable. - Good support for different languages. - Good automation with templates and rules. - Folders allow for the addition of custom ticket labels. - Poor chat widget - we chose to use a different provider for this functionality which is a shame as it is not all under one hood. - Average reporting features that do not allow for exclusion of spam from ticket volumes and lack granular control. - Habit of truncating long message subjects (although I think this has been resolved now). - Search feature lacks ability to search custom fields without careful selection of correct customer filter in advanced search. Xsellco helpdesk has always been quick to respond with any issues we have had w the repricer right away.It works, they are there when you need help, usually fix whatever the issue is right away. I really dislike we have to pay for help, we are already paying for a month for their services. customer service should be included. Thanks for your feedback. We are happy to report that your account does include phone support. Our Customer Support team have reviewed your account and cannot see any outstanding items. If there is anything you would like to discuss please get in touch and we will have a team member contact you today. One simple dashboard that centralizes customer support queries from any sales channel. Complete view of your customer in each message. All order details, delivery information and previous conversations are automatically attached to every message. Track key metrics like response times and message volume to identify areas which may need improvement. Make sure you maintain perfect response time scores by prioritizing messages according to your response targets. Below are some frequently asked questions for xSellco Helpdesk. Q. 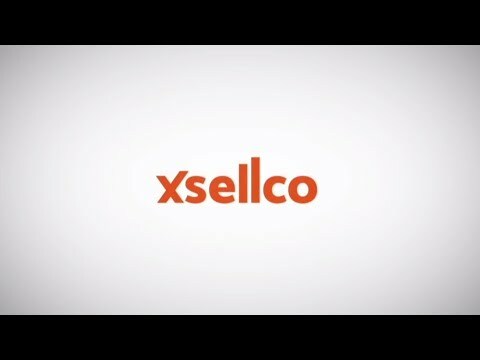 What type of pricing plans does xSellco Helpdesk offer? Q. Who are the typical users of xSellco Helpdesk? Q. What languages does xSellco Helpdesk support? Q. Does xSellco Helpdesk support mobile devices? Q. Does xSellco Helpdesk offer an API? Yes, xSellco Helpdesk has an API available for use. Q. What other apps does xSellco Helpdesk integrate with? Q. What level of support does xSellco Helpdesk offer?